In 1763, the painter Joshua Reynolds proposed to his friend Samuel Johnson that they invite a few friends to join them every Friday at the Turk's Head Tavern in London to dine, drink, and talk until midnight. Eventually, the group came to include among its members Edmund Burke, Adam Smith, Edward Gibbon, and James Boswell. 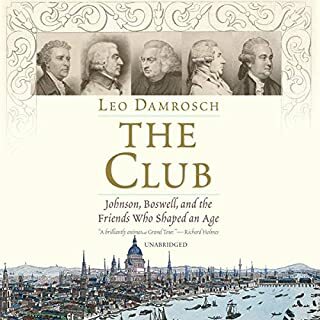 It was known simply as "the Club". In this captivating audiobook, Leo Damrosch brings alive a brilliant, competitive, and eccentric cast of characters. Filled with tales of adventure and astounding reversals of fortune, The Rise of Athens celebrates the city-state that transformed the world - from the democratic revolution that marked its beginning through the city's political and cultural golden age to its decline into the ancient equivalent of a modern-day university town. 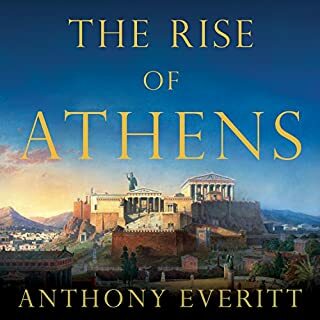 Anthony Everitt constructs his history with unforgettable portraits of the talented, tricky, ambitious, and unscrupulous Athenians who fueled the city's rise. 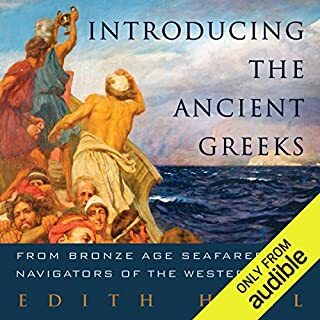 Acclaimed classics scholar Edith Hall's Introducing the Ancient Greeks is the first book to offer a synthesis of the entire ancient Greek experience, from the rise of the Mycenaean kingdoms of the sixteenth century BC to the final victory of Christianity over paganism in AD 391. Each of the ten chapters visits a different Greek community at a different moment during the twenty centuries of ancient Greek history. Roughly 2,500 years ago, the Athenian people established a radical democracy in which power derived from the votes of everyday citizens. At a time when local governments ranged from oligarchy to tyranny, the elite classes of Athens gradually ceded power to the inexperienced masses, whose votes served as referendums for everything from taxation to war to welfare. 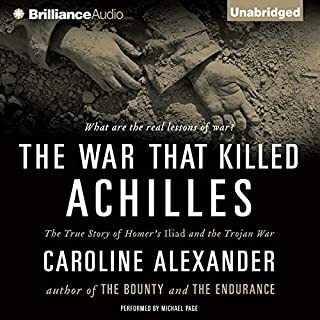 The sequence of events that led to this development is astonishing, and the society that flourished under Athenian democracy is one of the greatest - even if greatly flawed - achievements in world history. In the fifth century BC, a global superpower was determined to bring truth and order to what it regarded as two terrorist states. The superpower was Persia, incomparably rich in ambition, gold, and men. The terrorist states were Athens and Sparta, eccentric cities in a poor and mountainous backwater: Greece. The story of how their citizens took on the Great King of Persia, and thereby saved not only themselves, but Western civilization as well, is as heart-stopping and fateful as any episode in history. In The Oresteia, Aeschylus dramatizes the myth of the curse on the royal house of Argos. The action begins when King Agamemnon returns victorious from the Trojan War, only to be treacherously slain by his own wife. It ends with the trial of their son, Orestes, who slew his mother to avenge her treachery - a trial with the goddess Athena as judge, the god Apollo as defense attorney, and, as prosecutors, relentless avenging demons called The Furies. A Dramatic Trilogy for Both GODS and MEN. When 81-year-old Jay Mendelsohn decides to enroll in the undergraduate Odyssey seminar his son teaches at Bard College, the two find themselves on an adventure as profoundly emotional as it is intellectual. For Jay, a retired research scientist who sees the world through a mathematician's unforgiving eyes, this return to the classroom is his "one last chance" to learn the great literature he'd neglected in his youth - and, even more, a final opportunity to more fully understand his son, a writer and classicist. Founded by Alexander the Great and built by self-styled Greek pharaohs, the city of Alexandria at its height dwarfed both Athens and Rome. It was the marvel of its age, legendary for its vast palaces, safe harbors, and magnificent lighthouse. But it was most famous for the astonishing intellectual efflorescence it fostered and the library it produced. If the European Renaissance was the "rebirth" of Western culture, then Alexandria, Egypt, was its birthplace. One of the Modern Scholar’s most popular professors, Timothy B. Shutt, brings his literary acumen and trademark enthusiasm to the study of the epic poems that sit at the very wellspring of Western culture. 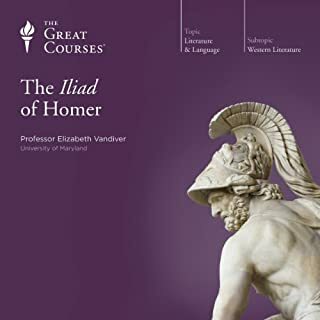 The earliest surviving works of Greek literature, Homer’s Iliad and Odyssey exert a continuing influence on modern culture, even today shaping people’s values and conduct. In the tales of Achilles and Hector, of Odysseus and Penelope, Homer explored the notion of arête, which translates as "excellence" or "virtue". Adam Nicolson sees the Iliad and the Odyssey as the foundation myths of Greek - and our - consciousness, collapsing the passage of 4,000 years and making the distant past of the Mediterranean world as immediate to us as the events of our own time. 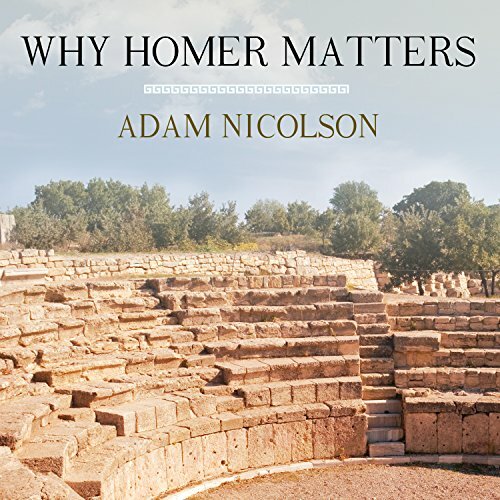 Homer's poems occupy, as Adam Nicolson writes, "a third space" in the way we relate to the past: not as memory, which lasts no more than three generations, nor as the objective accounts of history, but as epic, invented after memory but before history, poetry that aims "to bind the wounds that time inflicts". The Homeric poems are among the oldest stories we have, drawing on deep roots in the Eurasian steppes beyond the Black Sea. These poems, which ask the eternal questions about the individual and the community, honor and service, love and war, tell us how we became who we are. Pleasing narration and a fascinating subject. 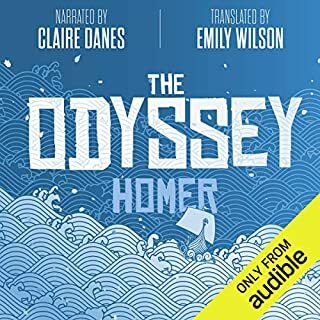 One of my best audible experiences. Well with the time. I have not read Homer since University. I find it amazing that we are still reading in the original or in translation something written in 700 B.C. The events depicted in the epics are thought to have taken place, as early as 1800 B.C. Nicholson has written a beautiful study: full of insight, generosity and unaffected passion, the book is about what Homer means to him. One of my favorite narrators John Lee narrated the book. OBSURE and... You have to be kidding!